It is a great pleasure to welcome you in June this year to Bordeaux at the 16th EAFE meeting. This meeting will take place in an old historic building in the city centre. As occurs every two years since 2015, the EAFE meeting will be preceded by the ICFAE meeting and I sincerely hope that many of you will attend and maybe participate in the conference in the field of Funerary Archaeoentomology. With Bordeaux being world famous for its wine, wine lovers will have the opportunity to visit the magnificent small medieval village of Saint Emilion on Saturday 8 June. 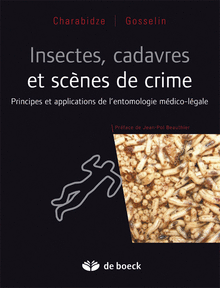 Açıkgöz, HN, Multiple Drug Analysis of Chrysomya albiceps Larvae Provides Important Forensic Insights to Unravel Drug-Associated Mortalities. Vol. 128. 2018: BIOONE. 99-107.